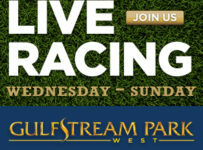 Gulfstream Park has set its schedule for stakes races through May 15. 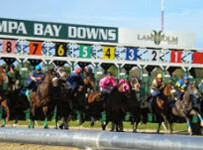 The first two stakes of its Spring Meet will be on Sunday April 30. 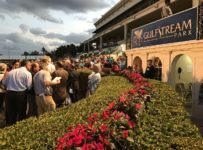 The live stakes schedule at Gulfstream includes two on May 7, when it have simulcast betting on the Kentucky Derby and that day’s other races at Churchill Downs. A look at Gulfstream’s condition books shows the following. Entries for the two April 30 stakes will be announced this coming Wednesday. The multiple graded stakes winner Grand Tito is among nominees for the Miami Mile. Grand Tito won the Miami Mile in 2016 when it was run at Calder and finished second by a half-length to Rerun when it was run last year at Gulfstream. Rerun is not nominated for the April 30 race.